If you have ever wondered "What is the best juicer?" trust me, you are are not alone. When you feel that you want to get all of the benefits of juicing and you have several fresh vegetable juice recipes, all you need is a machine to turn your vegetables and fruits into delicious juice. I will introduce you to a great juicer product here and let you decide for yourself. 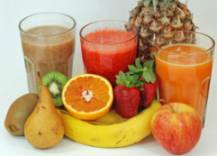 Centrifugal Juicers- Centrifugal juicers are the most popular and most affordable type of juicer available. Centrifugal juicers first grate the fruit or vegetables into tiny pieces then, using very high speeds and centrifugal force, pushes the grated pulp against a fine mesh screen, quickly and effectively extracting the juice. 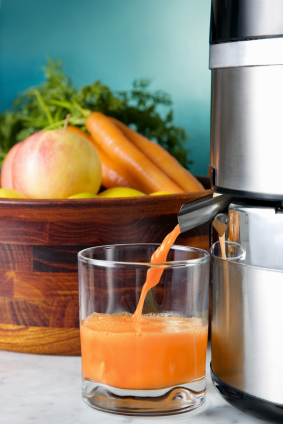 This type of juicer is the most popular juice machine since they're inexpensive and juice quickly. There are a few drawbacks in that they are not able to juice green, leafy vegetables. If you want to make “green juice,” this is not the type of juicer for you. The speed at which the juicer operates may case damaging heat. The pulp is very wet, which means that not all of the juice is completely extracted and you are wasting juice and money since you have to put more food in to get a decent amount of juice. Centrifugal juicers are not really good for citrus fruits, either. Single and Twin Gear Juicers - Superior to the centrifugal juicer is the single and twin gear masticating juicer, which slowly grind fruits and vegetables, breaking down the plant cells to squeeze out the goodness of the cells. This type of juicer is slower, but more efficient than centrifugal juicers. You will get much more juice from the same amount of raw food as compared to using a centrifugal juicer. 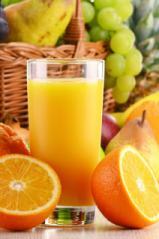 The slow speed results in less foam in your cup, less oxygen in your juice and no heat to kill the nutrients. Masticating juicers can juice just about any type of fruit or vegetable, including leafy and grass vegetable greens and herbs. This next juicer totally answers the question, "What is the best juicer?" since it combines the best features of both the centrifugal and the masticating juicers. Hybrid Juicer- This particular juice machine combines the efficiency of the centrifugal juicer and then takes the operation one step further by grinding the pulp, so you can quickly and literally squeeze out every drop of juice from your fruits, vegetables and greens! The Power Grind Juicer truly is a hybrid combining knowledge from both types of juicers to create a totally new concept in juicing. 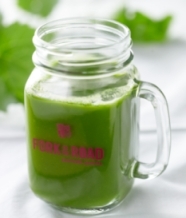 If you want to be able to juice greens, citrus fruits, all types of produce and squeeze out every last drop of juice and then be able to have the ability to make almond milk with no nut bags, all without hassle and dishwasher safe, then you have found the answer to the question, “What is the best juicer?” in the Power Grind Juicer!